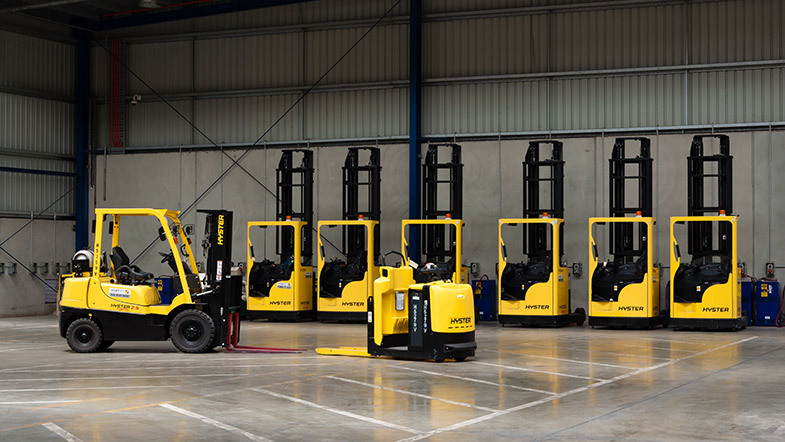 Adaptalift Group has built a reputation on total commitment to customer service and is widely renowned as an industry leader in forklift fleet management. This is no exception today with the most advanced fleet management technologies and dedicated staff all working to provide the best service possible for our customers. Adaptalift Group’s GPRS System and electronic service board is the core of the company’s integrated technologies enabling controllers to view the status, by site, of all service jobs in real time. This is integrated with Adaptalift Group’s financial & management information system. Combining seamlessly with ForkTrack ensuring the most efficient management of service in the industry. Each Adaptalift Group technician carries a PDA to interface with equipment and download operating data, as well as alter settings. Jobs are despatched via the Graphical Service Board and updated in real-time on each technician’s PDA. ForkTrack maximises fleet performance by recording all vital equipment information, including providing driver security, superior safety features & interlocks. Adaptalift Group’s online Web Based Reporting gives customers the ability to monitor their entire fleet by generating detailed real-time reports. This assists in the identification of potential problems early, leading to the running of a more efficient, safer industrial site. The Adaptalift Group Battery Management System is the solution to forklift battery management problems. Major benefits include increased battery life, program maintenance and a reduction in costs. Suited to either sealed or wet cell batteries, the system is also fully integrated online, with ForkTrack providing detailed reports and status information in real-time. Contact us now to find out more about our fleet management services.